Jake's 58 Hotel & Casino, operated by global hospitality company Delaware North for Suffolk OTB, is Long Island's first video lottery casino. The property features a range of luxurious interiors designed by locally based architecture firm, SOSH NY. Brintons worked with SOSH NY to develop approximately 4,800 square yards of custom axminster carpets for the property's casino floor. Inspired by connectivity and wanting to highlight the communication coursing beneath the floor, the SOSH NY team reimagined a classic Credence pattern using a palette of electric primary color grounded in shades of deep neutral texture. The vibrant carpet pattern features a distinct dynamic energy, custom 14 color palette, and a scale unique to typical commercial carpeting. The intricate details seen throughout the colorful striations in the axminster design illuminate the gaming floor while mimicking the fiber optics concealed within the base of the floor. 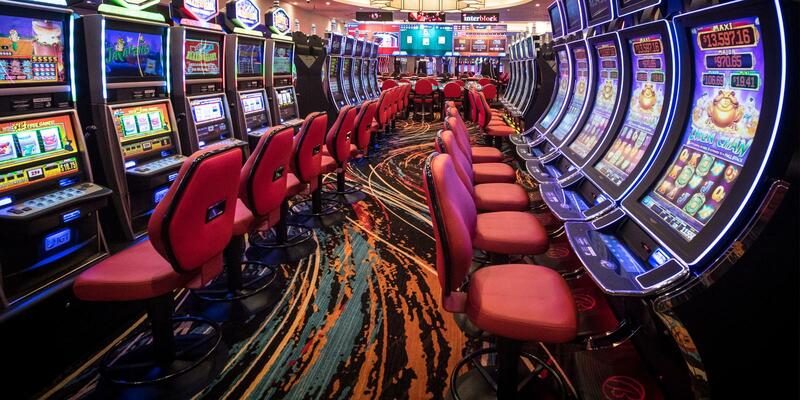 Unknown to most, each video lottery terminal is intertwined beneath the gaming floor creating a complex optic wiring system allowing the terminals to interact with one another. 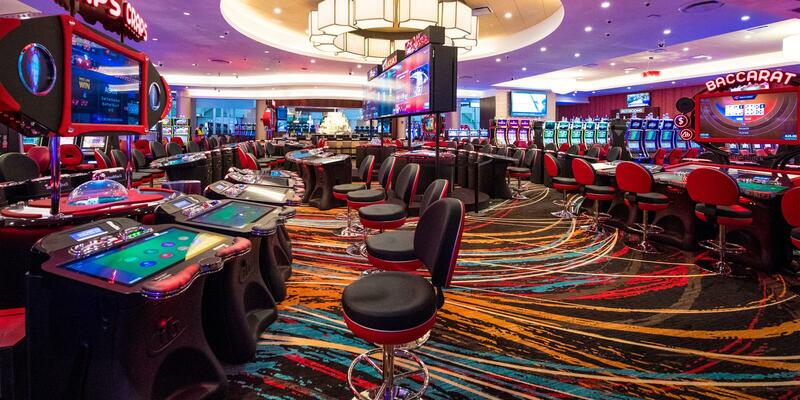 "Our team felt it was important to embrace the connectivity and data movement found within the wiring system and incorporate the complexity into the interior design that would be enticing for the casino's guests," explains Cheryl Hazaveh, Director of Interiors for SOSH NY. Brintons and SOSH NY's collaboration on the gaming floor for Jake's 58 Hotel & Casino made for an exquisite and seamless execution of a one-of-a-kind design. Scale is an essential component to design as it unifies the space and influences all components of the room including furniture selection and lighting. Traditional gaming floor carpet is designed at a ballroom scale of 3’ x 3’. We worked very closely to Brintons to scale the carpets to fit the casino floor appropriately. Brintons submitted full scale axminster samples to our design team allowing the us to successfully envision the carpet within the interior. Ultimately the gaming floor carpet was designed and manufactured on an impressive scale of a 48' x 66' repeat. The generous scale of the carpet paired with the whimsical colorful striations have become a standout feature within Jake’s 58 Casino & Hotel.